Truly an amazing place that has recently been voted as one of the wonders of the world on the new list. The mountain city is set up high in the area of Cusco in Peru, close to 8,000 feet above sea level. Machu Picchu is truly a magnificent site and as enchanting as any other place on the planet with tourists flocking from around the world to visit this magical place. 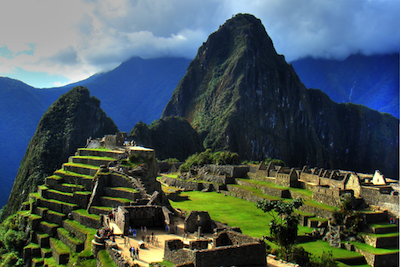 The Ancient city of the Incas is a must see for everybody. 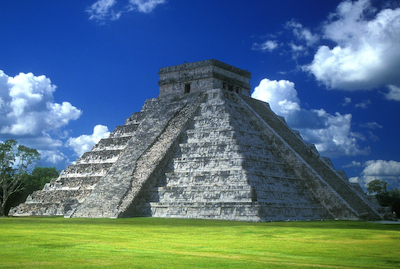 Chichen Itza is the the most famous Mayan temple city and served at center of the Mayan civilisation This is the greatest of all Mayan Temples and has also made the list of New 7 Wonders of the World. The best time to visit is during Spring as this is the period when the temple casts a shadow in the shape of a giant ‚ serpent‚ that appears to move with the sun’s movement. These ruins really are worth the visit from anywhere in the world. I would recommend reading up on the Mayan civilisation to ensure you get the best experience when there. Christ the Redeemer statue is situated high up on the Corcovado mountain in Rio de Janeiro, Brazil and is considered the largest Art Deco statue in the world. 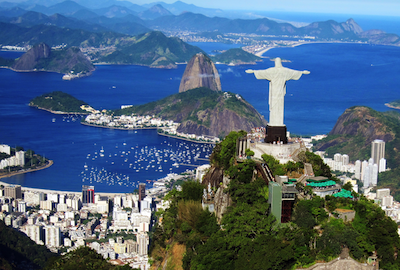 The statue over looks the fantastic city and symbolises Brazilian Christianity. This amazing landmark is known throughout the world and represents Brazil and Rio de Janeiro. The fantastic views from the city and the fact that this is an icon landmark makes this on my list of top 5 unmissable places to visit whilst in Latin America. Cartagena is a beautiful city on the North Coast of Colombia and has been voted the most beautiful city in Latin America. Due to Cartagena’s location on the coast and all year round hot climate, the city is a popular destination for cruise ships from around the world visiting this fantastic place. Cruise 1st offer fantastic discounted cruise deals especially in the Caribbean many of which have Cartagena as a destination point. 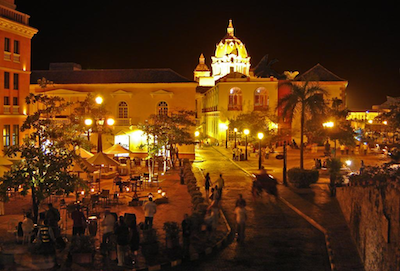 Cartagena de Indias is an amazing city built up with colonial spanish buildings set directly on the sea front with amazing restaurants and beautiful cobbled streets. This place is also a UNESCO World Heritage Site. 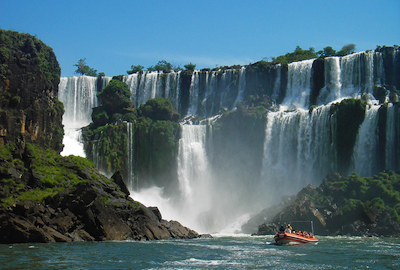 The waterfalls of Iguazu is another unmissable place in Latin America with this also making the New 7 Wonders of the world list. The waterfall is taller than Niagara Falls and is twice as wide with 275 cascades and is truly a breath taking sight of beauty and the power of nature.Iguazú Falls, called Foz do Iguaçu in Portuguese, and Cataratas del Iguazú in Spanish, lie on the both the Argentina and Brazil border and are a UNESCO World Natural Heritage Site. Damn, 6 months travelling in south america and you know I didn’t manage to hit a single one of those. I came close to Pachu Picchu, close but no die. As an additional I’d mention the Bolivian Salt Flats. It was probably the best thing I saw when out there… especially when remembering the times when salt was expensive. It was like discovering a land where the floor is literally paved with gold. Pretty amazing – though the altitude was a killer. Yeah damn that photo is good – I am going to have to do Igauzu falls aren’t I.